That special year comes only once in a young Jewish girl’s life and for Hannah that year is this one. Her Bat Mitzvah will be held in the flower garden of her family home and she and her mother both wanted something beautiful and elegant to commemorate the occasion. She chose her Bat Mitzvah invitations at ForeverFiances in a beautiful ornated Star of David. Hannah’s mother wanted something that would be elegant and fit the beauty of the gardens where their celebration would take place. Hannah wanted something green that would support the environment. They were thrilled when they found that they could combine both beauty and support for the environment in one gorgeous invitation. These floral Star of David Bat Mitzvah invitations depict beautiful oriental vines, inspired by Casablanca. For Hannah it was perfect because these invitations are 100% recycled which means that not one new tree will be cut down in order to make her invitations and she’ll be able to protect the forest. But that’s not the only reason she loves them. 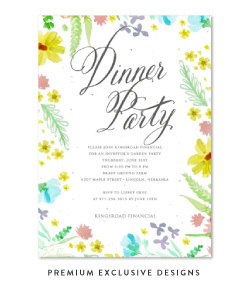 These beautiful invites can also be planted in the yards of all of her guests so that they will grow into even more beautiful wildflowers than the ones on the invitations. For her mother they were unique and unlike anything she’d seen before. Exactly what she wanted for her daughter and their celebration. You will be sending these invitations to everyone important to your daughter and to your family. Don’t you want something that is going to make everyone stop and stare? Guaranteed beautiful, these unique Bat Mitzvah invitations will look perfect with the theme of your festivities as well. Not only that but there are several more styles to choose from with ForeverFiances. 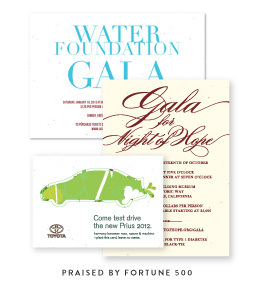 These invitations are available in a wide range of colors and styles from floral to geometric and everything in between. You can guarantee you’ll find something for your Bat Mitzvah or Bar Mitzvah with ForeverFiances. If you’re planning your own Bat or Bar Mitzvah or you’re looking to plan one for your child then you know it’s an extremely important celebration. Your child is entering adulthood and you definitely want to commemorate that occasion with the most beautiful invitations you can find. With invitations from ForeverFiances no two will ever be exactly the same because the paper is 100% recycled content and the images are hand painted. They will be as unique and elegant as your daughter on her big day. A cute giraffe to announce your baby shower! This new collection features an adorable giraffe perfect for a boy or girl. Printed on premium handmade seeded paper, which will bloom into garden herbs/wildflowers once planted.